Where do you usually carry your cellphone? Most commonly people carry their cellphones in a pocket or in a bag. This custom is bound with certain inconveniences. For example, many of us have had a situation when you want to know what time it is, you get your phone out of your pocket, look at it, put in back into your pocket, and then - instantly forget what time it is at the moment, and have to get the phone out of the pocket once again to see what time it is. Or, for example, when somebody is calling you, and you can hear your phone ringing in your bag, but it takes you too much time to find it, and the person calling you drops the phone, - you can’t answer your phone in time, and you have to call back which is not always possible. Surely, each of us has a story like this to share, so it is completely needless to list all kinds of such situations within this article. Probably, each and every one of us has been thinking about how great it would be to have a device that could serve as a solution to all these problems and inconveniences. 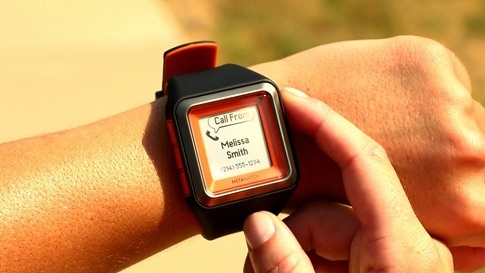 As an answer to this demand, MetaWatch has come up with a device called STRATA. 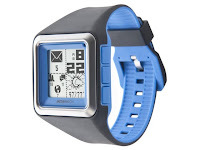 MetaWatch STRATA is a highly stylish and functional accessory one wears like a watch. It employs Bluetooth 4.0 to connect with both iOS- and Android-operated mobile devices. Apart from diaplaying text messages or a caller’s name (as well as the current time, of course), the new MetaWatch STRATA also performs a quite massive set of functions. 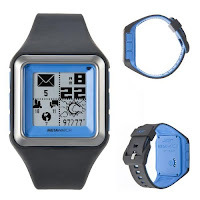 The device will also display notifications about a received e-mail or a message in the social networks, it can also be synchronized with applications having to do with weather reports, calendar, or stock indexes. You can control your music player, or your alarm clock. There also is the Lost Phone Alarm function which vibrates if the phone to which the MetaWatch STRATA is attached, gets far from the device, - people who have the habit of leaving their phones in all sorts of places will surely find this function quite useful. To crown it all, the new MetaWatch STRATA is water-resistant, - so virtually, with this devicer you can still stay online when you are bathing in a swimming pool or in the sea. 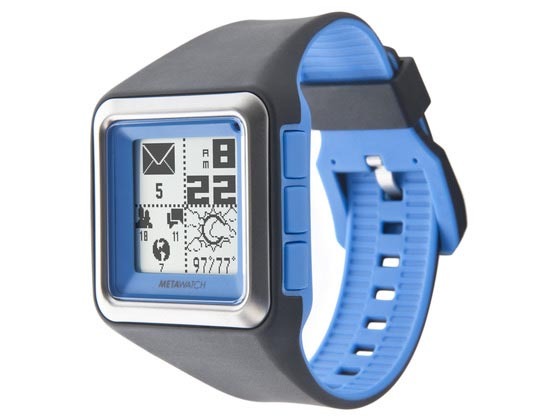 gearvita is the highest quality smart watches provider out there.